All Birkenfeld homes currently listed for sale in Birkenfeld as of 04/25/2019 are shown below. You can change the search criteria at any time by pressing the 'Change Search' button below. If you have any questions or you would like more information about any Birkenfeld homes for sale or other Birkenfeld real estate, please contact us and one of our knowledgeable Birkenfeld REALTORS® would be pleased to assist you. "Come visit this beautifully restored farmhouse on 95+ acres & you won't want to leave! This AMAZING property lets you experience country life at it's finest from the attention to detail & quality finishes used throughout the home to the professionally landscaped yard for outdoor entertaining. Riverfront, timber, hay, fenced, room for cattle/horses, 2 barns, shop + much more! This breathtaking slice of country heaven can be yours today." "Resort-like living on private lakefront sanctuary with stunning panoramic lake and mountain views. 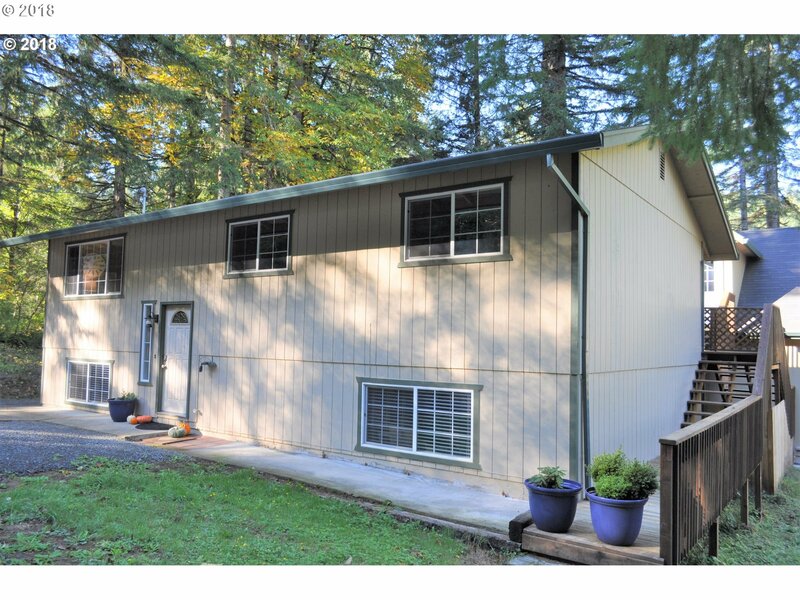 Only 90 minutes from downtown PDX w/ easy access to Hwy 26, coast and Columbia River. Beautiful chalet w/ custom kitchen featuring oak cabinets, Brazilian countertops. Large master suite, covered patio, private dock, 2 handcrafted fireplace surrounds, lower level entertaining & office space - great for entertaining year-round." "Enjoy unobstructed views of the lake from every room of your home on the point! From the vaulted ceilings to the large windows, light and space abounds here. Cedar & Pine touches throughout offer warmth, as do the professionally chosen paint colors, pellet and propane stoves. Master Suite boasts of double vanity in the bath, window seat, & walk in closet. The open kitchen has new Stainless appliances. Open Loft. Flat lot, 2 car garage." "Unique lakefront cabin, with a killer location. Beautiful lake vistas. Rustic barn style, one of the first built on Northshore Drive! Lg BRs, perfect for family and friends. Open, flat with plenty of parking, dock, new pellet stove, some remodeling. Barbeque pit, big front deck equates to lots of memories at the lake! Part time or fulltime your choice. 90 mins from Portland to Paradise!" "Stunning defines both the house and the 180 degree lake frontage view! New roof; fresh interior paint; beautiful vaulted ceilings with exposed beams; tile flooring; large open windows facing the lake to allow the view to encompass you. New ductless heat/AC. Fresh exterior paint. No detail on this home has been overlooked. Whether looking for a fabulous vacation home, or full time living, this gem has it all!" "Creek side at charming Fishhawk Lake! Beautifully remodeled kitchen including eating bar & island. Open concept dining & living room with wall of windows that look out toward the creek. Two master suite options or use one for bonus room/family room. Perfect backyard deck & ample parking spaces. Home is across from the community garden and feel very private. Lovingly cared for & maintained home looking for new owners to relax with." "Exceptional Cottage. Serene forested creek setting. open floor plan. Laminate Floors. Large Vaulted living room with rock fireplace. Large bedrooms, Open rail stair case to 2 bedrooms and 1 bath. Large Master on main level with gas fireplace. Large covered front porch. Back deck privacy with creek setting. seasonal spawning salmon and Steelhead. Lake access and boat launch. Great second home. Exceptional." "$20,000 PRICE REDUCTION! WATER FRONT! Quaint 1200sf home with 2br/1.1 bath. on Fish Hawk Lake. Almost 1/3 acre lot. Beautiful lake views, fish, kayak, boat, swim from your own dock! ALL NEW SS appliances included. Bonus room, half bath & sauna access in garage. LARGE attached shop/extra garage space.Finish daylight basement to add square footage. HOA: Fish Hawk Lake - Community garden, tennis, bball, clubhouse, events, and more." "New lower price on this renovated, remodeled beauty made into a spectacular space of custom upgrades galore! To-die-for kitchen, elegant and yet rustic living spaces, large loft with skylights, stunning master bath filled with marble, decks off bedrooms, a stream AND lake views! This has it ALL. Full time or part time, come and enjoy life at the lake! 90 minutes from Portland to Paradise!" "Discover what living in the beautiful Fishhawk Lake Community is all about. This home offers formal living and dining spaces with 4 bedrooms and 3 baths. As a bonus, there's a cozy lower level family room. Huge back deck to relax and enjoy the nature views and you'll have access to Fishhawk Lake. New 50-year roof with transferable warranty. Easy commutes to Portland, Astoria or even Longview, WA." "Its Time to Relax and enjoy life at FishHawk Lake, the quintessential lake community. Beautifully updated, light and bright interior with additional guest quarters over the detached garage. Easy flow floor plan,barn door, large family room on the lower level. 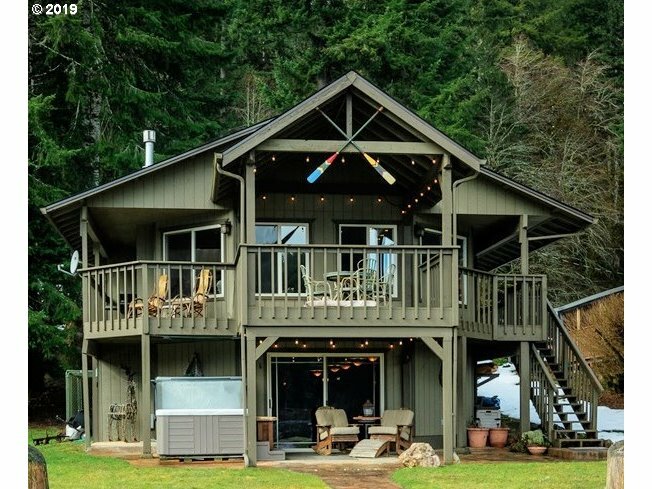 Home is perfect for a weekend get away or full time living. Fenced back area. Oversized garage with tons of storage and perfect for all of your toys, canoe, lake boat and more." "This quaint ranch style home is excellent for full time living at the lake, or as a vacation home. Laminate and parquet flooring in 2 of the bedrooms. Detached garage w/office space, terraced yard with room for gardening, lovely covered front porch and back patio, light bright living room. Dining room could also be a family room. New laminate flooring in the kitchen/eat area/entry, and new carpet in the living room. Move in ready!!" "Sweet chalet with a Scandinavian feel, just moments from Fishhawk Lake,making it a great location to enjoy all amenities. 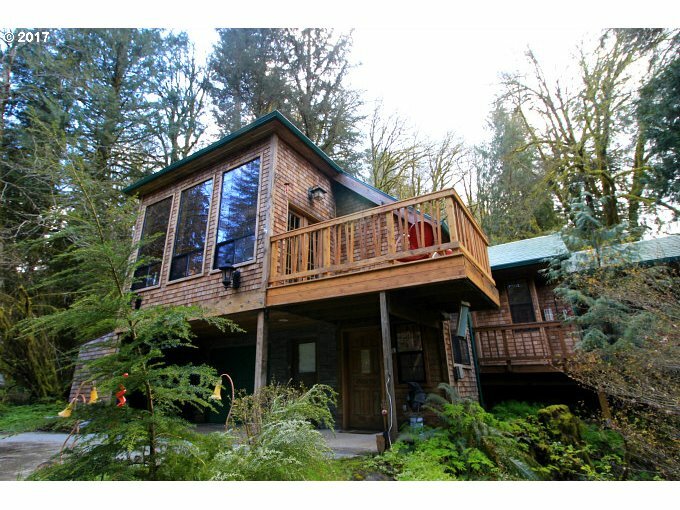 Some recent remodeling, large master that has its own second floor deck to view the lake.Great room has a woodstove to give it efficient heat and cozy cabin feel. Good for part time or full time, your choice! 90 mins from Portland to Paradise!" "This cozy A-Frame has updated electrical, new vinyl plank flooring throughout the main level and new carpet in the upstairs. New stainless appliances in the kitchen, including built in microwave. Toasty warm propane stove in the living room is a great alternative to the new baseboard heat. Large, level parking spot, tool shed. Relax on the deck, nestled in the trees, and enjoy the peace and quiet of your surroundings." "This home is located in the Fish Hawk Lake community. It's location affords a private, quiet escape. Tucked away down 2 flights of stairs on the hillside & under heavy tree cover, it feels very quaint. There is a detached laundry room/storage area and an undercover tool shed and covered areas for firewood etc. There is extensive decking to the home, around it, and then down to the creek. Sold as-is."